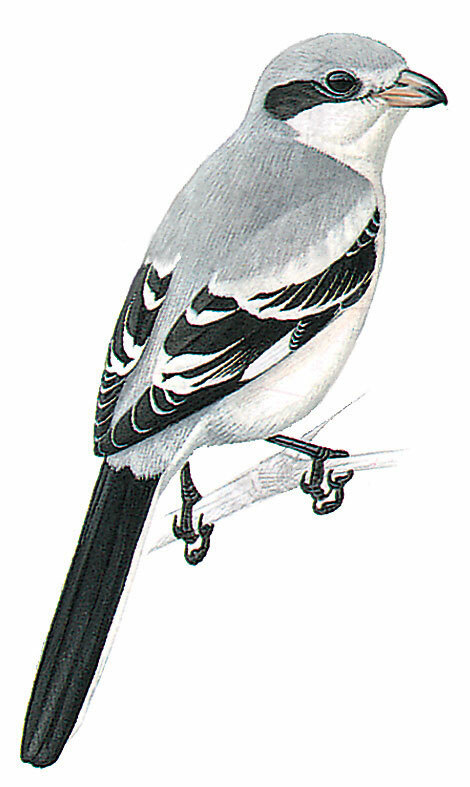 Compared with the Southern Grey Shrike, its colour is more pale particularly the bill and the area between the bill and the eyes, and also the crown. It is difficult to tell them apart from other shrikes. Usually it swoops on its prey, like big insects and rodents, and spikes them on thorns to feed on them later.